Each of the twelve study rooms opened in Stauffer Library in 2016 features an Indigenous name and artwork to increase the visibility of the Indigenous community on the Queen’s Campus. 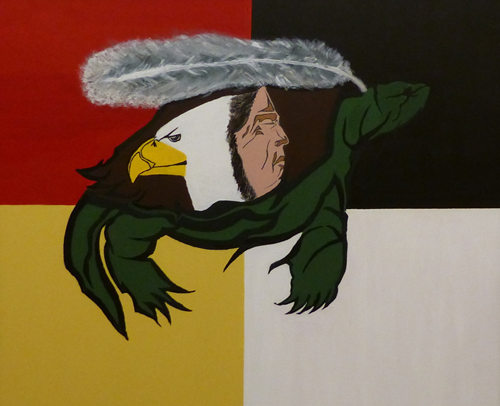 Together with Four Directions, we formed a partnership with Correctional Services Canada to commission Indigenous artists from Joyceville Institution to create paintings. These paintings incorporate the meaning of the new room names into art work that is displayed in these rooms. To view the art displayed in these rooms, please see our virtual exhibit.